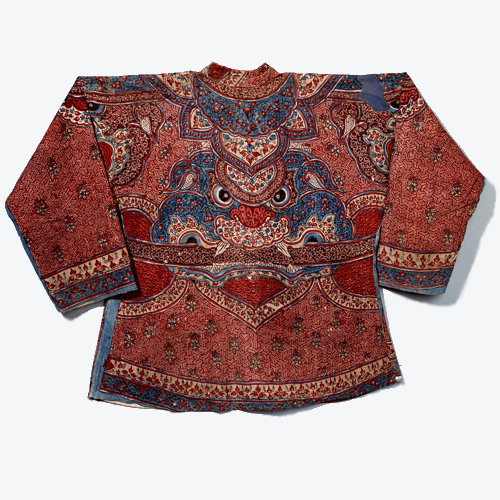 A dazzling textiles show opened last week at the Metropolitan Museum in New York, titled “Interwoven Globe: The Worldwide Textile Trade 1500 – 1800“. It’s a topic that touches on interesting aspects of Indonesian history and material culture. Unusual textiles from faraway places were hot commodities in Indonesia’s ports and forts; and maritime traders knew this well. They were eager to load up on the islands’ wildly valuable spices, sandalwood, and slaves; at the same time, Indonesia’s merchants, rajas and tribal chiefs were dead keen on having cloth like nobody else’s. It was, of course, a form of gengsi (status seeking), much like the gengsi games we observe here in Indonesia today. 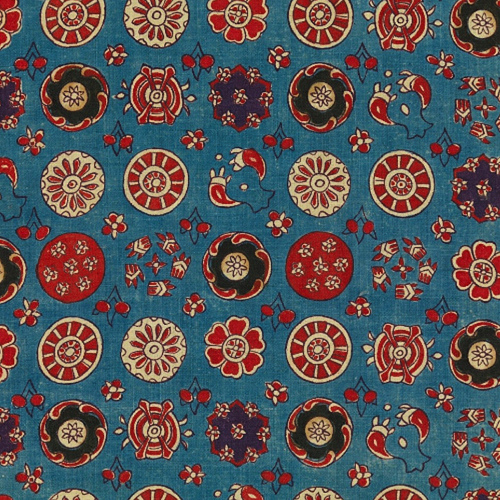 Only one trade textile found in Indonesia appears in the exhibition, but many of the show’s Indian trade textiles for the Thai, Japanese, and European markets have the same “WOW” factors (notably, their strong red dyes) that amazed Indonesians. 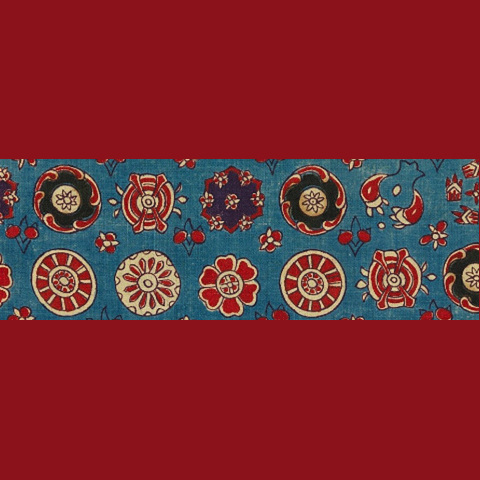 Trade textiles were highly prestigious possessions here, and we can readily observe their influence on local textile traditions over the past five centuries. 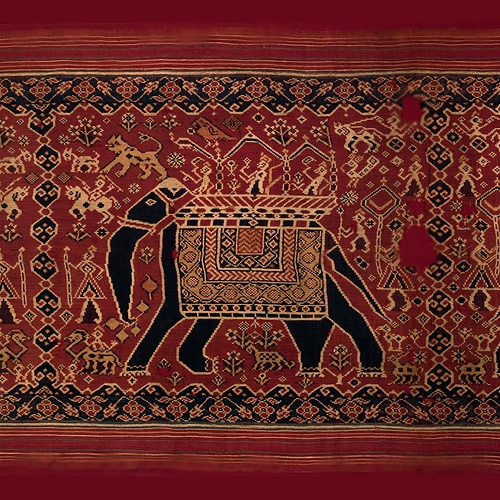 These influences went two ways, in fact; Indonesian tastes, and Indonesian textiles, were transmitted to other lands, other continents, and affected their arts, and the styles of cloth that they produced. It’s exciting that the Met has put on this comprehensive exhibition, with its even more comprehensive catalog. It is an opportunity to increase awareness and understanding not only about the place of textiles in cultural transmissions, but also about Indonesia’s position in world history, and in global cultural interplay during the millenium we recently left behind us. If you can’t get to the Met to see the show before it closes on 5 January 2014, definitely browse the website (great text, and high res images), and order the 360-page hardcover catalog.